Hover over the Units to see current tenant details, and any available units. The Mansley Business Centre is located on the popular Stratford Enterprise Park in Stratford-upon-Avon, only 20 minutes away from Leamington Spa and Warwick. 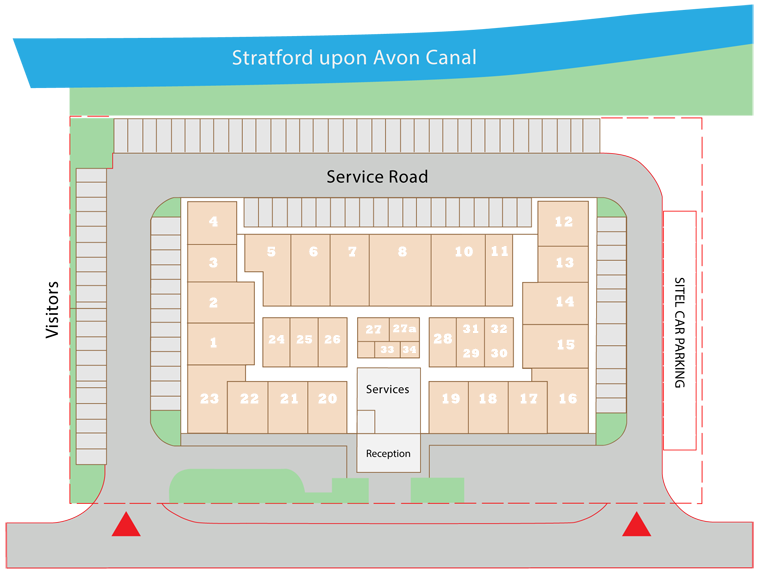 Within walking distance to the Stratford Train Station and the Park and Ride, we ensured our serviced office rentals were as accessible as possible. If you are travelling via car, it is easily accessible from the A46 and close to the M40 to get you onto the motorway network.